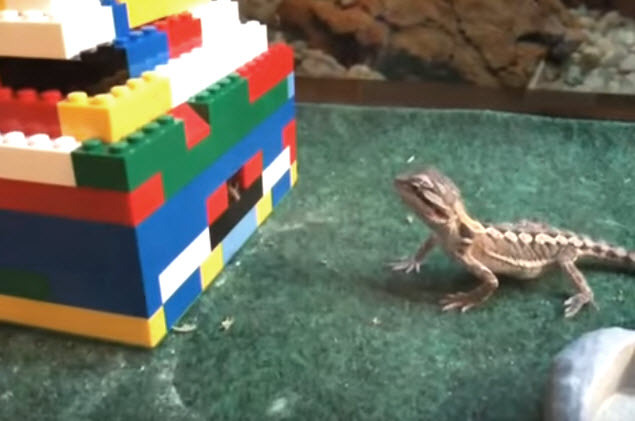 Use Legos to make a cricket feeder for your bearded dragon cage! Build a Lego house, leaving a brick out on one wall near the base for your crickets to exit the house. Use clear bricks on the sides to make windows for the crickets. Make the roof in a stair-like manner so your lizard can climb on top of the house if desired. Put the crickets in the house with their supplies.